An exhibition charting the development of British electronic music opens in London this month. ‘Oramics To Electronica: Revealing Histories Of Electronic Music’ opens at the National Science Museum for a 14-month run, offering visitors an insight into the instruments and their players. Stories of the seminal work of the BBC Radiophonic Workshop and the Electronic Music Studios feature alongside the synthesisers and other equipment used to compose and record their canon. The Head of Research and Public History at the museum, Tim Boon, says the event, co-developed with the help of pioneers of the genre, examines how the history of electronic music fits into the current music scene. “The production of electronic music has moved from the far reaches of the avant garde to the top of the charts. This exhibition celebrates the fact that musicians continue to find unique and wonderful ways to create amazing sounds,” Boon adds. Contributions come from prominent figures in the evolution of electronic music in Britain, past and present, as well as leading audio production companies. The calendar of events taking place in tandem with the exhibiton include a schedule of workshops and live performances, and a competition to remix the work of Daphne Oram, founder of the Radiophonic Workshop. 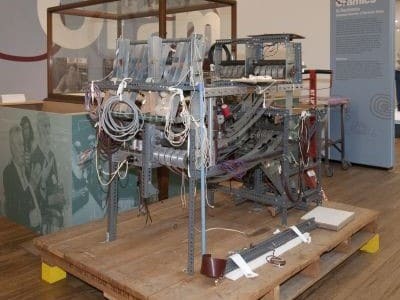 The ‘Oramics To Electronia’ exhibition runs from October 11 2011 to December 1 2012 at the National Science Museum. There is no admission charge, and details of opening times can be found on the museum’s website.